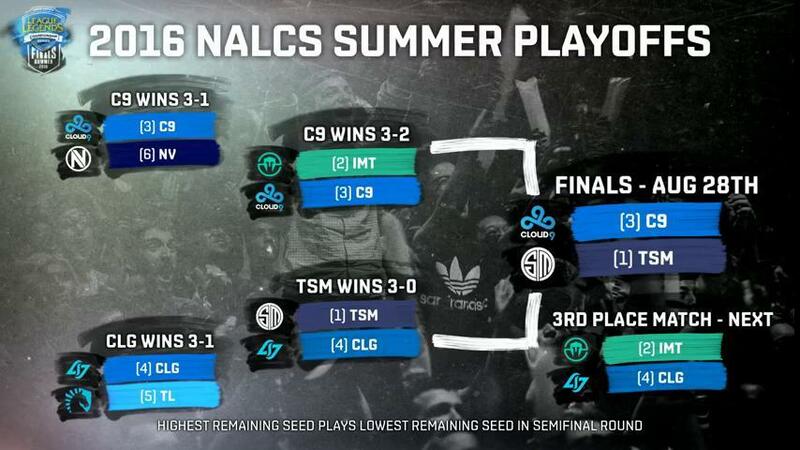 Following the Semifinals, the 2016 NA & EU Summer Playoffs conclude with the Finals stage! 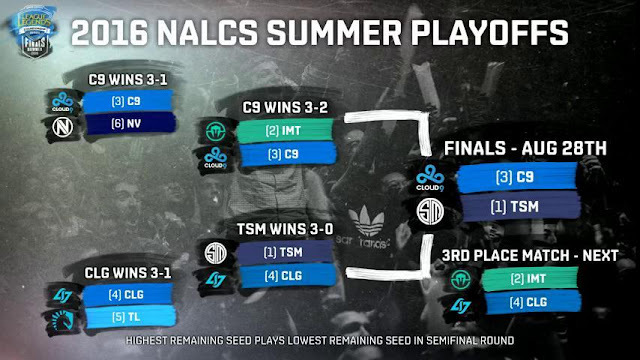 After a nine week season of normal competitive play, the 2016 NA & EU LCS Summer Split playoffs concludes this weekend with the Finals stage! 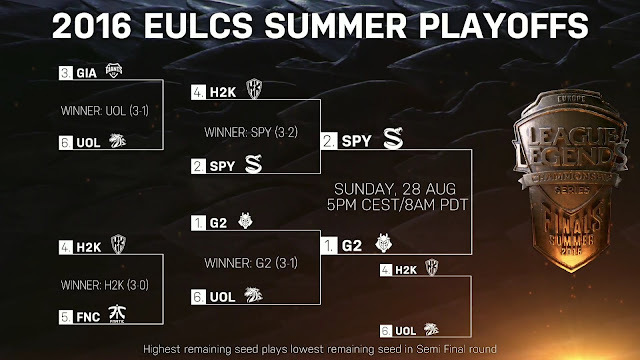 Both regions will have two best of five matches at each stage of the playoffs, leading up to the finals matches on August 27 & 28th. 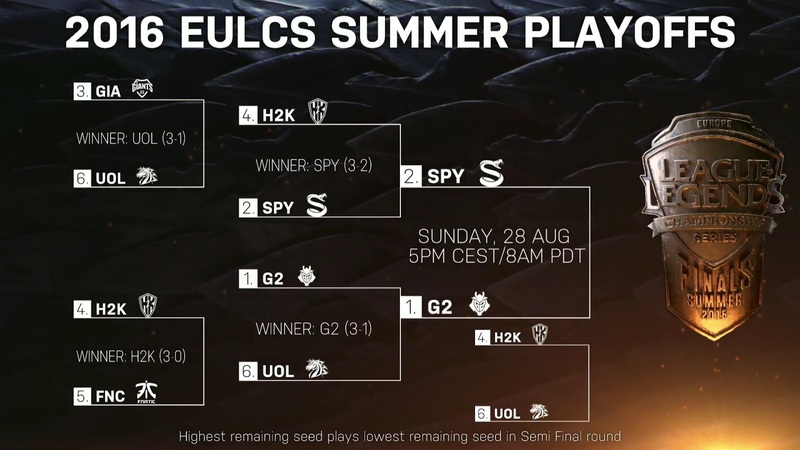 2016 EU & NA Playoffs Finals will be played on patch 6.15 with Aurelon Sol disabled. This weeked will finally give us our qualifying teams for Worlds 2016, which will run from September 29th through October 29th!